Top Row: Jude Weidner, Carter Earls, Blake Keeton, Cayden Hildenbrandt, Mason Newton and Conner Snively. The U9 Monroe Swarm team are the SWOL Regional Champs!! 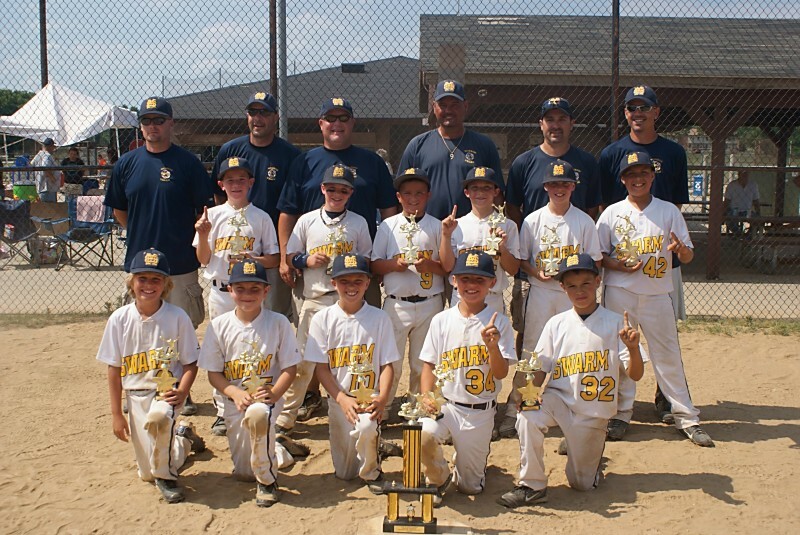 The Monroe Swarm team went undefeated this past weekend In the Regional Tournament held at Lefferson Park June 22-June 24. The boys were the #1 seed and ended up playing the Flames in the Championship game and won 6-3. Cayden Hildenbrandt was the starting Pitcher and did a great job and then Blake Keeton came in as the closing pitcher and shut them down. Carter Earls hit three homeruns in the tournament with two of them being in the Championship game.